You are here: Home June - "My Beautiful Dreamer"
Stan's tribute to June on Easter was adapting Stephen C. Foster’s beautiful song, "Beautiful Dreamer" to a song about a sleeping June…Stan simply removed all references in the song to “Dreamer” except in the title and replaced them with “June”…it works well and melds right into the song…Stan then replaced two lines and a few words that did not appear appropriate to June and her life...Here is Stephen C. Foster’s song with Stan's revisions, adapted to June…the original rhythm and flow of words were retained...the original music is still totally compatible...Stan was fortunate to have two pictures of June asleep as a beautiful dreamer! “JUNE - "MY BEAUTIFUL DREAMER"
Stephen C. Foster's song is very appropriate on this lonely Easter 2014. My tribute to June revolves around this great song of 150 years ago…”Beautiful Dreamer”. Stephen Foster died in January of 1864…Just two months later in March of 1864, this beautiful serenade was published. In the year 1864, Easter was also in the month of March and was on the 27th. 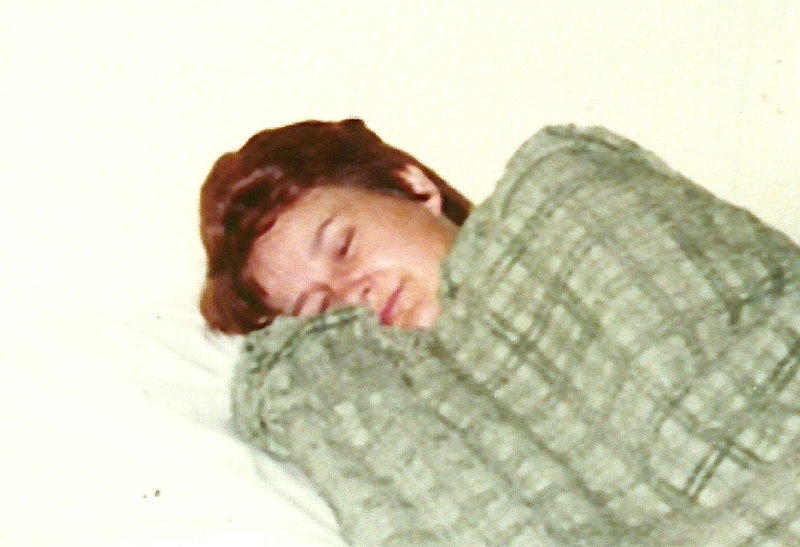 One of Foster’s reviewers noted that the song “Beautiful Dreamer” may have been a post death tribute to some lady in Foster’s life as he had previously done for a deceased sister Charlotte and others. On the Saturday before this Easter Sunday, Stan listened to a new record by Ray Price. It had just been introduced since his recent death in December 2013. “Beautiful Dreamer” was one of the songs. Special mention was made that the song “Beautiful Dreamer” a song that Ray Price had wanted to do for some long period of time but for one reason or the other, he had never done so...as Stan listened to Ray Price’s rendition of this beautiful song he thought of June and how this song could be a part of his Easter Tribute to June. One might say, “How does the song “Beautiful Dreamer”, Ray Price and Stephen C. Foster, all fit into Easter with Jesus and June. To Stan the above series of circumstances reflects the hand of God at work. While to many others, they are simply coincidences. It all fits nicely together as June’s tribute. The Bible is replete with references to how the bodies of believer’s who have passed on in death are now sleeping while their soul and spirits are in Heaven with Jesus…until the day of resurrection when the sleeping bodies are all reunited with their soul and spirits in heaven. When Jesus was crucified, died and was buried, his body slept for three days and three nights…Jesus was then resurrected on Easter to be with God the Father forever in Heaven. June’s body is also sleeping at Lakewood Cemetery while her soul and spirit are with Jesus in Heaven. “Beautiful Dreamer” was one of the last songs written by Stephen C. Foster before he died in 1864 at age 37…it was published immediately after his death in 1864…although Foster was known as the “Father of American Music” and the writer of over 200 songs, he died in poverty. Little is know about Foster’s religious life although he published a book on Religious Hymns in 1863 and previously wrote and published a series of Sunday school songs. On Easter 2014, Stan visited the “Holy Spirit Chapel” at the Benedictine Health Care Center where June and Stan had spent the last three Easters of June’s Life…After prayers in the chapel, Stan outlined this Easter Day tribute to June while sitting and relaxing in the comfortable lobby area outside the Holy Spirit Chapel. This Holy Spirit Chapel also contains stained glass memorial windows dedicated to June, to Stan's mother Ellen and to both of the parents on June and Stan's sides of the family. An additional window is dedicated to both June and Stan's mother Ellen to all the world wide victims of Alzheimer’s. See the below picture of June and Stan, both having a nap in the Holy Spirit Chapel in late 2007…the following year 2008, God would take June home to be in Heaven with him. "A SUMMARY of JUNE and STAN'S LIFE TOGETHER"
June and Stan were both products of poor farm families, and raised during the "great depression" days...June and Stan became the last of the old fashioned "traditional families" in which June was in charge of the home (homemaker) and Stan was in charge of income production. June and Stan had a joint discretionary checking account. They jointly planned vacations and family activities...They were also the first in the history of their own two families to offer a college education (tuition paid) to those of their children who desired to better their own education. In looking back at our life, June clearly had the toughest challenges as the "lady in charge of the home"...I remember a former neighbor and friend of June's telling me in later years, how much she admired June...how well organized June was and how this lady wished she could be more like June. June not only ran the home including the housekeeping, laundry, meals, but she was also a mother, a grandmother and a wife. June was also a very active force in their Redeemer Lutheran church where June pulled a very heavy oar... June served as Women's Circle Chairwoman, taught Sunday School Class, Girl Scout leader, Church Board, served on Nominating committees, Nursing home visitor, Evangelism team member, Sunday Church Greeter, etc. June always managed to look fresh, sharp and beautiful. During the times and days of their early limited income, June made many of the children's clothes as well as some of her own clothing on her own sewing machine in order to assist with their then very tight family economy. June also served as the family barber and cut the children's hair...June was so proficient as a barber that she frequently received requests to cut some of the neighborhood children's hair. Stan really does not know how June did it all. After the child raising years came to an end, (June and Stan now have four children and 22 grandchildren) Stan took an early retirement from his administrative job with a large insurance company (State Farm) after 32 Years and then plunged full energy into a second career of Forensic Science Consulting. June was Stan's Administrative Assistant in their new life which quickly became a life of adventure...as Stan's Forensic business rapidly prospered, it required travel through out the United States, Canada and Europe...Stan was fortunate to be a part of a number of high profile cases including the Robert Kennedy Assassination...June traveled with Stan about 170 times on forensic science conferences that criss crossed the US, Canada and Europe...London became June's favorite city...they participated in the first ever forensic science conference in the Soviet Union during the height of the cold war...June and Stan danced the night away in Moscow's Rossia Hotel...in a visit to Rome, June shook hands with Pope Paul VI during an audience...later during a conference at Oxford University, June and Stan lived in the old student housing of Christ Church College...what a wonderful life they had. Stan has often described June and his life together as a "Divine appointment"...it was clearly more then a simple blessing...while Stan has also described it as "winning the lottery of life! "...it was God that handed Stan and June the winning tickets...thanks God! Pamela Gilbertson Stenstrom - Spring Lake Park, Minnesota - (20 Spril 2014): "That is beautiful!...Happy Easter Stan! I am really missing my dad today!" Ann Farr - Wrexham, United Kingdom - (20 April 2014):"That is beautiful - wishing you a peaceful Easter." Bonnie Seip - Ottsville, Pennsylvania - (20 April 2014): "Thinking of you Mr Berg ... May God comfort you as he has everyday .... God Bless you ... I like your version of " Beautiful June "
Vicki Cadogan - Limerick, Ireland - (20 April 2014): "My mother used to sing this song, never knew its origin. Your in my prayers always Stan." Nancy Carrillo - New Bedord, Massachusetts - (20 April 2014): "Stan I hope your spending today with family or friends I don't like to hear that your sad if I was there I would definatly be spending some time with you today." Mary Monson - Minneapolis, Minnesota - (20 April 2014): "Bless you, Stan. I know she is always with you in your heart, mind, and soul." Donald Hiatt - Clovis, Calfifornia - (20 April 2014): "He is risen! Happy Easter, Stan! June is spending Easter with the One who made it possible, with the source of our hope, Jesus. Grace and Peace...don"
Rose Elley - Portland, Oregon - (20 April 2014): "Very beautiful and touching Stanton. Happy Easter my friend." Susan Owen - Princeton, West Virginia - (20 April 2014): "This Easter is drawing to a close. I've managed to get through inspite of myself. Had a fine dinner and enjoyed a beautiful sunset. It was a good day. Saying a prayer to lift your spirits." Patricia Higgins - Glasgow, United Kingdom - (20 April 2014): "Happy Easter Stanton god bless." Bridie Breen - Manchester, United Kingdom - (29 April 2014): "Wishing you a blessed Easter day Stan ." Susie Blake Was Dodd - Southampton, United Kingdom - (20 April 2014): "God bless you Stanton, I lost my mum in January to this cruel and horrific disease and I've been having a real bad struggle this past week too. You are not alone ." Jacqueline Mellor - Bury, United Kingdom - (20 April 2014): "Such a beautiful lady." Carla Miller Noziglia - Aiken, South Carolina - (29 April 2014):"Stanton, a Happy Easter which teaches us that those we love, such as June and Keith, are in their heavenly home, awaiting us." Debbie Larsen - Buffalo, Minnesota - (20 April 2014): "Happy Easter Stan , this is beautiful . Gods Blessings." Lora Rushing Robinson - Benton, Louisiana - (20 April 2014): "Happy Easter Dear Stan....thinking of you.....and yours." Gwen Bush - Beavercreek, Oregon - (21 April 2014): "I had no idea of the history behind the song thank you so much for sharing. You are an amazing person with so much knowledge thank you for sharing it." Tara P. Lodzinski - Kamloops, British Columbia - (21 April 2014):"Thank you Stan. A beautiful tribute to June." Marion Reinartz - Cologne, Germany - (21 April 2014): "Thank you for your nice irish birthday wishes, dear Stanton... I love them ... hope you are well ... I wish you lots of love. At the moment, after my mom died, having a burnout, try to get earlier Appointements to the doctors ... look after yourself and keep well, Stanton. Thanks for all, you've done for all of us caregivers ... still have a happy easter ... may God bless you!" Marsha McKneely Ault - Nacogdoches, Texas - (21 April 2014):"It will be a wonderful day when you wake in each other's arms."... (5 April 2015): "Marilyn Horne's voice reminds me of my mom's voice. Beautiful rendition and I liked your arrangement. Happy Easter!" Marti Thornton - Theodore, Alabama - (26 April 2014):"So pretty.. This lady looks happy and sweet as she can be.."
Louise Ann Howard - Batemans Bay, New South Wales, Australia - (27 May 2014): "Love the thought June sleeping. It is true. My son is in a little very hard to find grave in Canberra. Will catch up with your song as soon as I can. I wrote one to danny boy for my Arthur my son. It was something that comforted me and still does. Too mine song needs to be looked at and hope a friend of mine that plays the piano they will help me fix my song...Love your song. Beautiful words mate"
Stefanie Irwin-Bates - Nanaimo, British Columbia - (23 September 2014): "I looked at your profile and enjoyed the video of your Valentines tribute to June.. almost cried it was so amazing." Jane Moore - Camelford, United Kingdom - (5 April 2015): "Hope you are enjoying Easter Stan - must be a host of memories for you this weekend especially." Helen Russin - Martins Ferry, Ohio - (5 April 2015): "Thank you Stan! Both versions of "Beautiful Dreamer" as well as your tribute to June are awesome!" Diana Perera - Colombo, Sri Lanka - (5 Spril 2015):"Simply awesome. Stanton you certainly have been in love with June. Men like you are rare these days. Its 9 months since my husband died and many of the things he told me as advice. Many of them things we enjoy still haunt me. I am ,67 thogh hubby was 88. Many of friends say I must forget the past and move on NCOs instil young, but I can't. I hide the sadness and loneliness with a smile or laugh but this is only a facade!" Earlene Collum - Arlington, Texas - (6 April 2015):"She is such a beautiful dreamer." Brenda Tessman - Campbell River, British Columbia - (8 April 2015): "When I was in elementary school I did a report on Stephen Foster , Beautiful Tribute." David James Laudig Jr. - Torrance, California - (14 November 2015): "Day Dream Believer and a Homecoming Queen. Thanks for sharing your wonderful story about June , Stanton." Jackie Irving- Liverpool, United Kingdom - (15 November 2015):"That was a lovely tribute to June Stan ...what a gifted man Stephen C. Foster was ...to still have his music played a 150 yrs later is wonderful ...how sad that he was just 37 when he passed ...I love the pictures of June sleeping!...you are so right ...he is as beautiful sleeping as she was awake... God bless to you Stan." Denise D. - Portland, Oregon - (31 March 2016):"I stumbled across your blog by googling the search terms "Beautiful Dreamer" and "Easter." No accidents, right? Your and June's story is so touching. Thank you for sharing. I am so sorry for your pain and loss. I am grieving the loss of my mother who died in February. She had advanced dementia but died from colon cancer. Your June has an amazing smile. It made me smile. Happy Easter. I hope you and your loved ones are finding joy and peace....I am enjoying typical Easter weather of gray skies and intermittent drizzle. But I am serenaded by choruses of sweetly singing birds, and newly blossomed trees are swaying in a lax wind, so I'm counting my blessings...Denise." 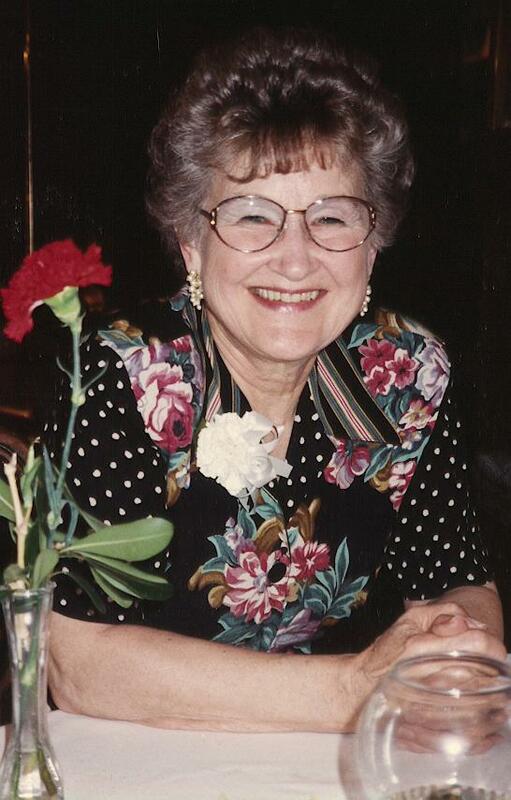 " June K. (Rolstad) Berg - In Memoriam "